Death by Great Wall: The Big Reveal -- My Home on the Web Got a Makeover! The Big Reveal -- My Home on the Web Got a Makeover! I chose an interior designer to redesign my home on the web. Elizabeth, of The Mustard Ceiling blog and TMC Designs, worked with me to give Death by Great Wall a whole new look. I'm glad she didn't fire me in the process. 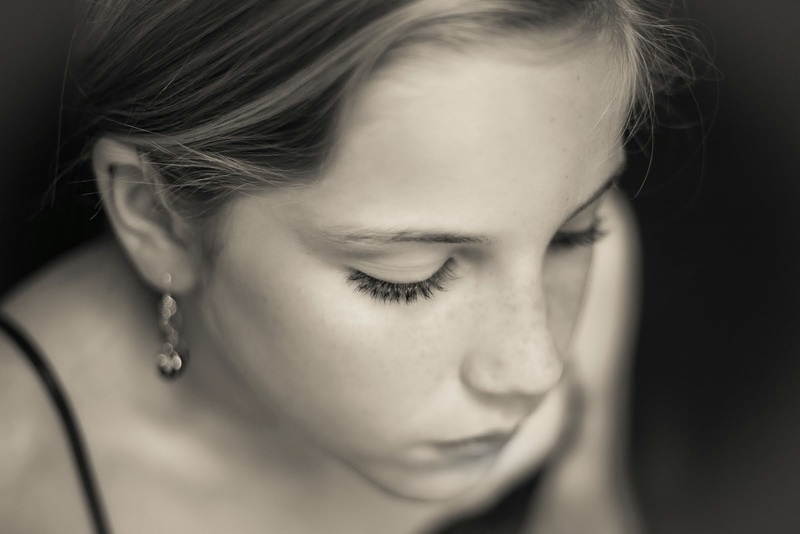 It must be hard to work with a picky person who almost knows what she wants -- to find that vision in her head that even she can't see clearly yet. It's probably even harder when she names her blog something weird like Death by Great Wall and then tells you that the design must look "whimsical," and not too serious or "deadly." You probably want to blow your brains out when she rejects your first design and you make two more, only to have her flip flop and decide she really does love the first one -- "if we can just tweak it a little." But Elizabeth didn't blow her brains out or fire me. She kept working and came up with a design I love. I stared at it all weekend. So, take the house tour. Click on stuff. See what you find. Check out the About page or the Frequently Asked Questions. Those cute little icons right at the top of my sidebar will take you to Pinterest and Facebook and my Contact page. 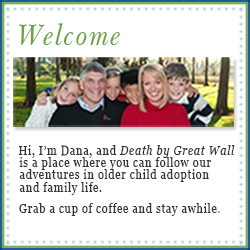 And if you like what I'm doing here at Death by Great Wall, promoting awareness about older child adoption, grab the code for my blog button (midway down the sidebar) and share Death by Great Wall on the sidebar of your own blog. Thanks, Jennifer Peterson, for leading the way on this! Lastly, Elizabeth is running a 20% off special on custom blog designs for orders placed through June 14. So if you're in the mood for a makeover, check it out. Thanks for the shout out today Dana! I enjoyed working with you. 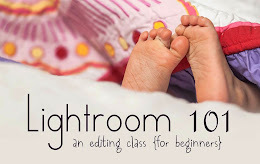 I am excited about the final design, I think it is perfect for your blog. I really love the postage stamp best!